Sky was lonely, cold and so desperate for food. 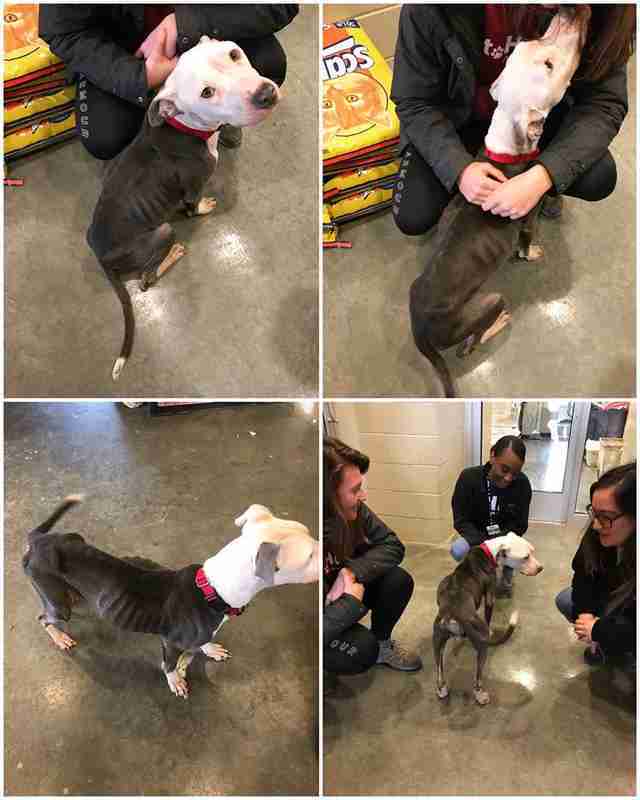 Left outside the Delaware Humane Association earlier this month, the starving dog was just skin and bones as she huddled next to a fence to shield herself from the cold. 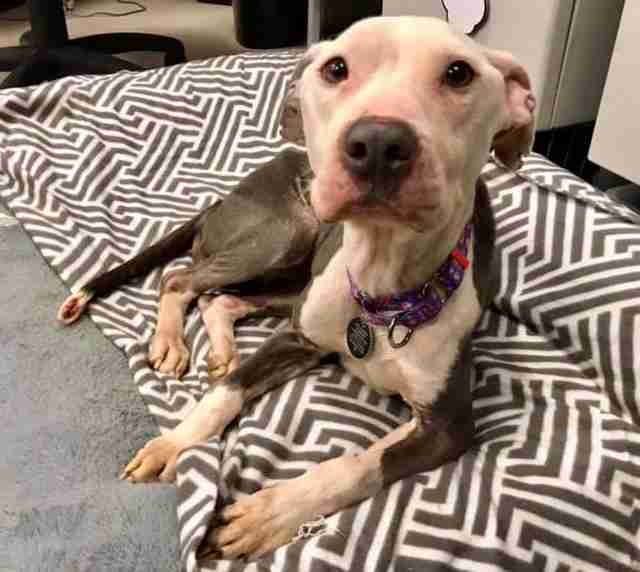 The rescue staff spotted her out in their yard and instantly rushed to bring the poor dog inside — and in the process, they made a heart-wrenching discovery. Sky had a handwritten note from her owner pinned to her collar. Sky, who is 6 years old, had been cold and hungry for a very long time — but thanks to the rescue, things were going to get better. Just as her owner said in the note, Sky was thrilled to be around people again, despite her very frail condition. That night, Sky went to sleep in a warm bed with a full stomach — something that hadn’t happened in a while. 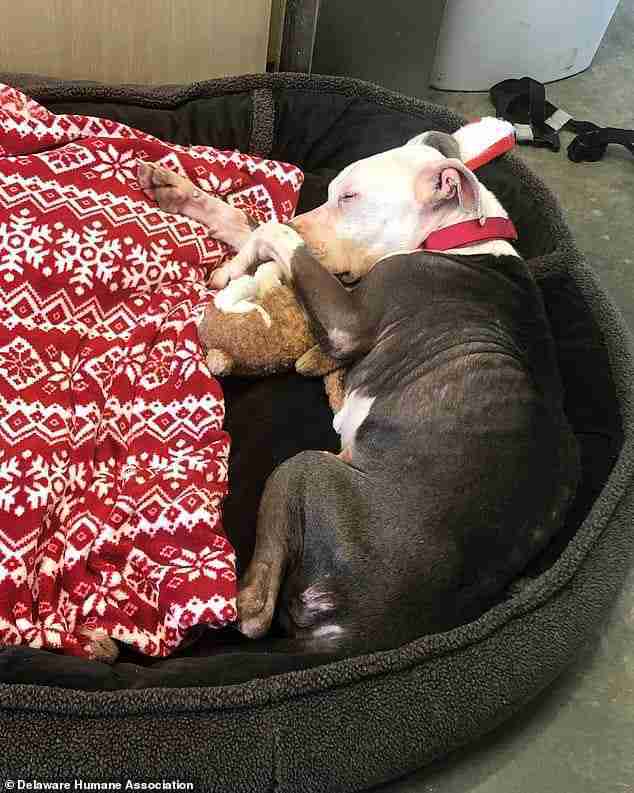 It was bittersweet for the rescue staff to see, as they knew that Sky’s old owner was likely still out on the streets and struggling. Unfortunately, there was no way of actually locating him — and on top of that, he was breaking the law for leaving her out there. 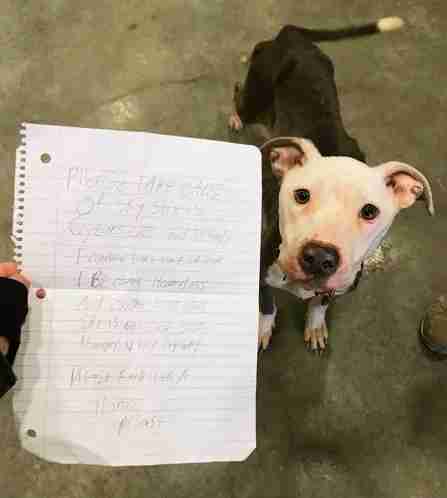 Shortly after Sky’s story hit the local media, however, the man called the shelter. His situation seemed to be improving, luckily. And that’s just what the rescue will do. In the coming weeks, Sky will continue to eat and gain weight until she’s healthy enough to be spayed, and then, she’ll be available for adoption. For now, she’s loving all the attention she’s been getting — and spends each night snuggled up without a worry in the world. She’s finally safe. 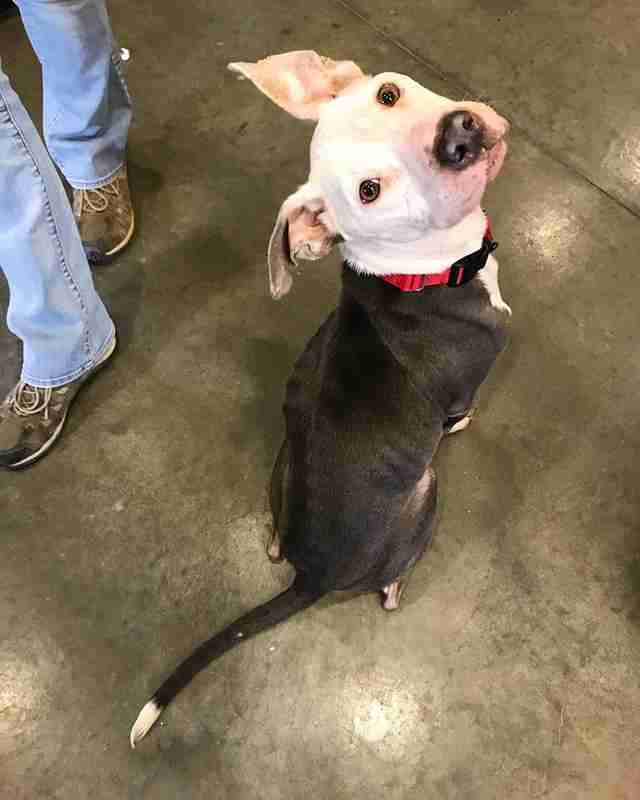 If you're interested in adopting Sky, you can visit her adoption page. 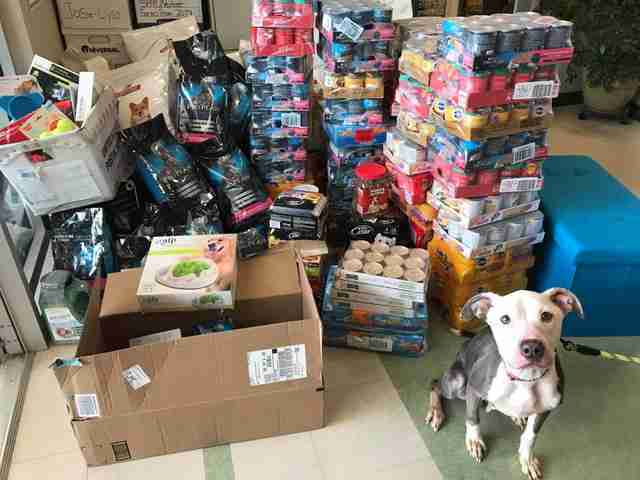 To help more dogs like Sky, you can make a donation to the Delaware Humane Association.